FIFA's major sponsors appear to be taking sides against the soccer organization's embattled president, Sepp Blatter, with four major companies calling for him to resign immediately—while others are keeping silent or say the ongoing reform efforts should be allowed to run their course. Coca-Cola, Anheuser-Busch InBev, McDonald's and Visa issued separate statements Friday, in what appeared to be a coordinated move, saying Blatter should go right now, reports the BBC. Those four stepped up pressure after the Swiss attorney general opened criminal proceedings against the soccer executive last week, alleging, among other things, that he sold TV rights at below market value to a former FIFA official. 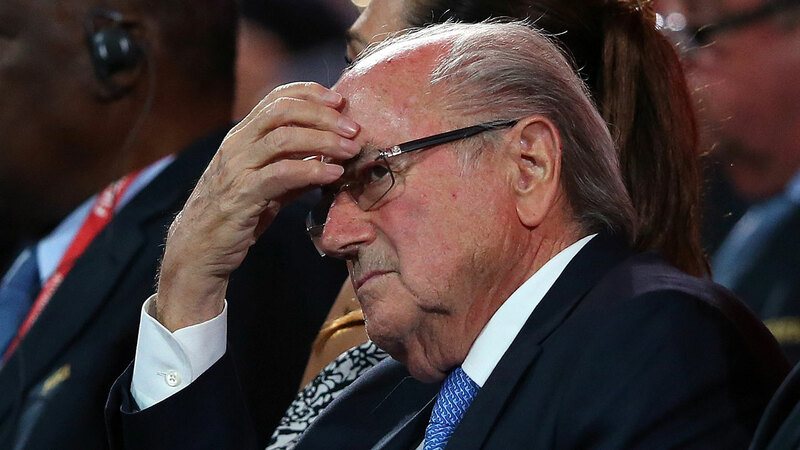 Blatter, who has consistently denied any wrongdoing, was already tainted by a wide-ranging bribery and money-laundering scandal that broke in May, and which saw seven FIFA officials arrested and 14 indictments handed down. Despite the chaos, Blatter was subsequently re-elected. But he is expected to exit in February. Apparently, that is not soon enough for some sponsors. AB InBev, for example, who Budweiser brand is a major FIFA sponsor, called him "an obstacle in the reform process," while Coke said FIFA's image becomes more "tarnished" every day Blatter remains. On Friday, Blatter's attorney issued this response to Coke: "Mr. Blatter respectfully disagrees with its position and believes firmly that his leaving office now would not be in the best interest of FIFA nor would it advance the process of reform and, therefore, he will not resign." U.K. sports Minister Tracey Crouch got into the act Saturday, saying, "The sooner Blatter goes, the sooner widescale reform at FIFA can begin." All told, the organization's main sponsors—which also include Adidas, Hyundai/Kia and Gazprom—are believed to contribute approximately one-quarter of FIFA's $5.7 billion in revenue during each four-year World Cup cycle.